...can you guess which one? Andrew and Peter Facinelli are setting up for a commercial.....a PSA for Alex's Lemonade Stands. 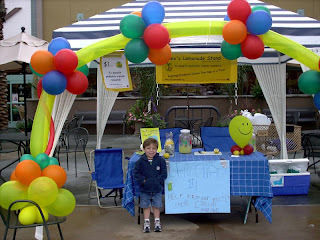 Andrew has been hosting Alex's Lemonade Stands, and raising money for pediatric cancer research for several years, and was a featured hero four or five years ago. 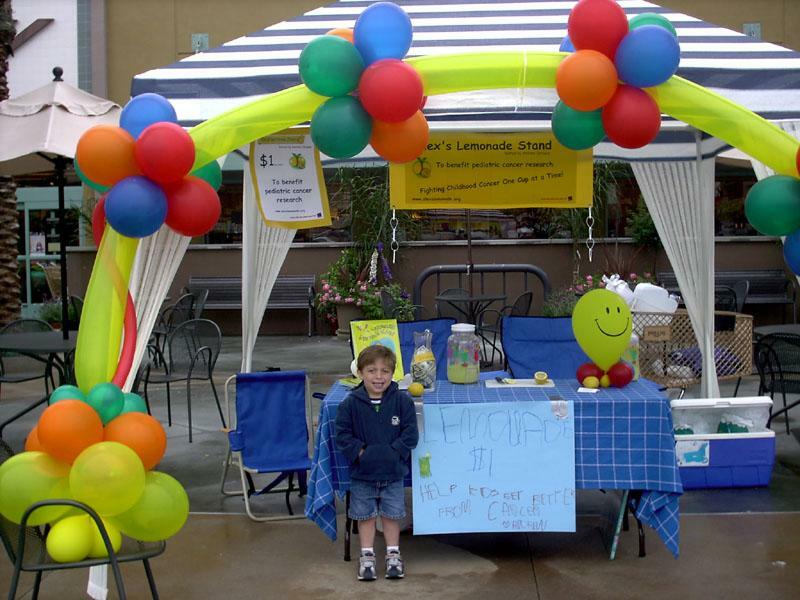 This is Andrew at his very first Alex's Lemonade Stand in June, 2005. He was only four years old...and is quite proud of the sign he made! He is SO very, very cute. Andrew I mean :) And I LOVE that he does this every year. He is one of my heroes for sure. I am so glad you get to be his Grandma! They must both be heroes! A star indeed. I know he makes you very proud Grandma J. He is a real hero for sure! It's great that such a young man is motivated to help others in this way. He's definitely a star! Andrew is the real star! Loved the pictures! He is also a hero in my book. This is absolutely wonderful. He's an incredible little boy, Grandma J. Bossy was talking about him when she came through Richmond. p.s. Peter's fucinelli looks mahvelous in that first photo. We all know that Andrew is the REAL star here. Congrats to him again on all his accomplishments..and for bring this cancer to the forefront for research!!!! Well, how awesome to be on the inside scoop about such a fabulous hero!